Pain has often been one of the building blocks used to construct works of art. And the willingness to share with the world the aftermath of moments of loss, betrayal, injury – be it physical, emotional or spiritual – is part of an artist’s unwritten job description. 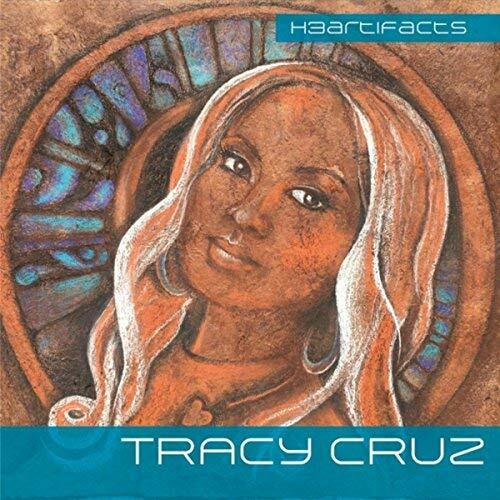 Tracy Cruz embraces the artist’s obligation to go where the truth takes her even if that journey requires her to uncover, reveal and deal with the pain on a trio of EP’s that she - along with her band Instrumentali-T - released over the last year. The final EP in that series, Purple H3artifacts, will be released on July 28. The songs on H3artifacts and Purple H3artifcats – the EP that drops on July 28 are the same, but arrangements are different. The former places Cruz in a sparse piano and voice arrangement while Intrumentali-T joins the singer on Purple H3artifacts on a work that is jazz infused R&B. The third album in the trio, Art of Facts, contains different songs and a different spirit. Chronologically, Art of Facts is the second in the series. However, anyone listening to them might want to play that one last because its four tracks are more upbeat, like the affirming and funky number “Keep Our Soul Alive,” and keeps with that EP’s theme of preserving and overcoming. Art of Facts bears some similarities to Purple H3artifacts from an arrangement standpoint. Cruz’s strength as a lyricist stands out as the highest virtue on a project that has many strong points. Her writing ability is most clearly illustrated on “Losing in Love,” her new single and one of the tracks that can be heard on both H3artifacts and Purple H3artifacts. Cruz said she wrote the songs during a difficult time when the tears would not stop. She poured that hurt into the songs, and that comes through particularly on the piano and voice version heard on H3artifacts, where her phrasing conveys a sense of pain and loss when paired with the piano. Cruz puts her humanity of display on this three part EP, and in doing show she also showcases her strength as a vocalist, and lyricist as well as a person. Recommended.